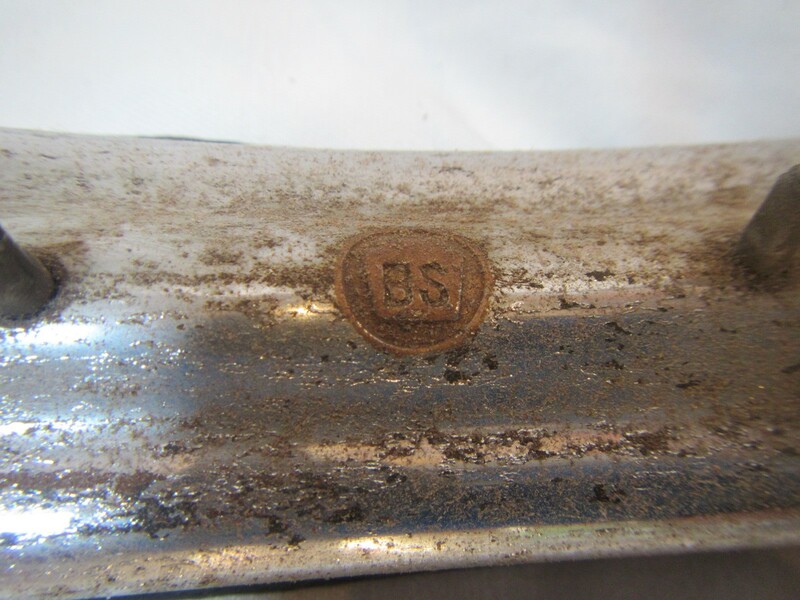 Finding a restoration project is never easy. Swap meets and flea markets are great as one is able to inspect firsthand. 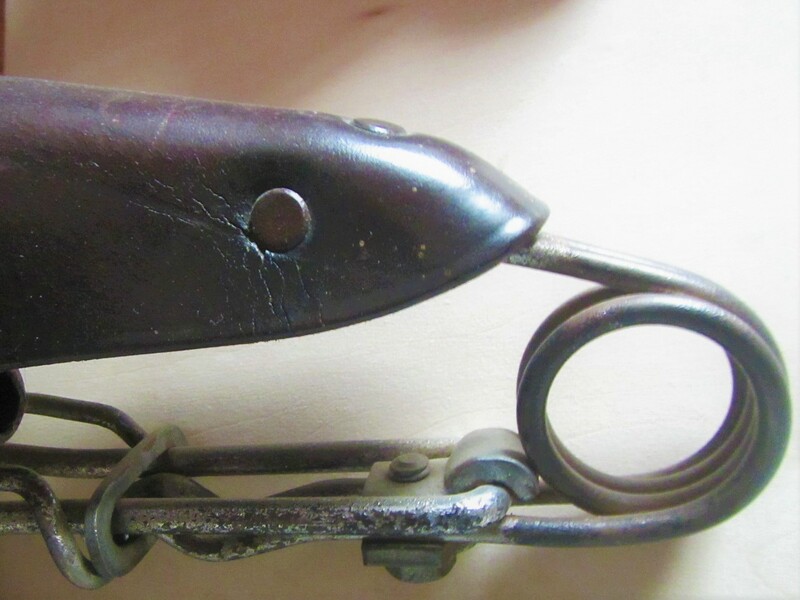 But in the case of online auctions one has to look very closely at the photos and often request additional photos. But what to look for? I admit it, I am a stickler when it comes to "original". 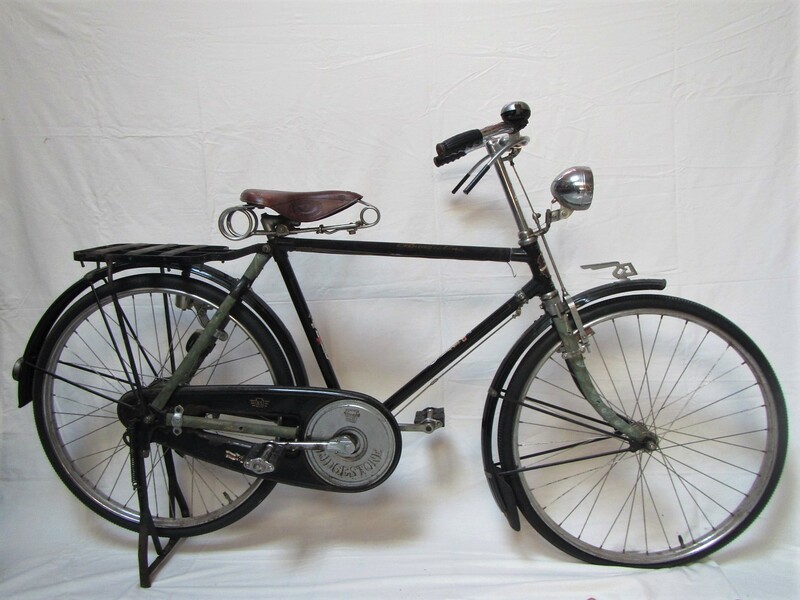 It is simply a matter of preference but the less original a bicycle is, the less the value. This is true with classic automobiles as well. Original paint, chrome, leather, rubber, etc. 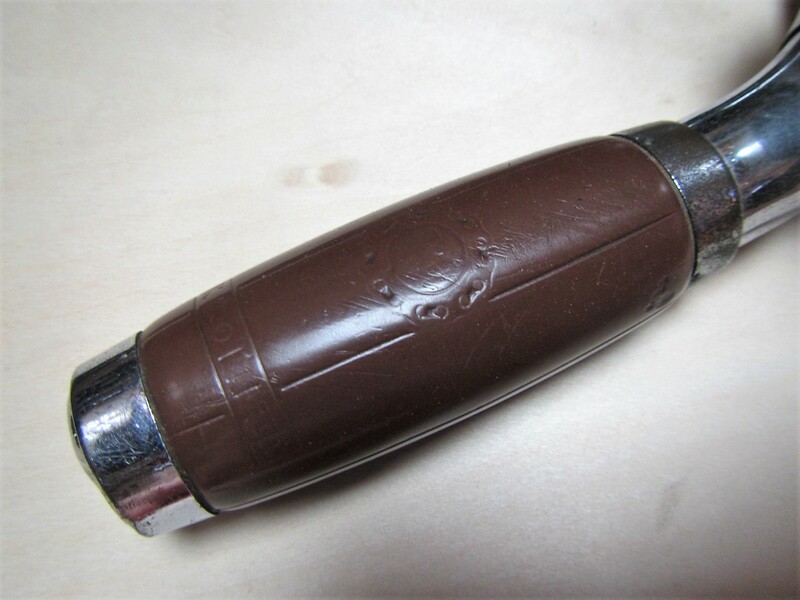 Ten years ago it was not impossible to find NOS (New Old Stock) and/or used bicycles where at least the original paint and chrome could be brought back to life. However, more and more it is becoming increasingly difficult to find projects like these. Yet, search and you shall find. 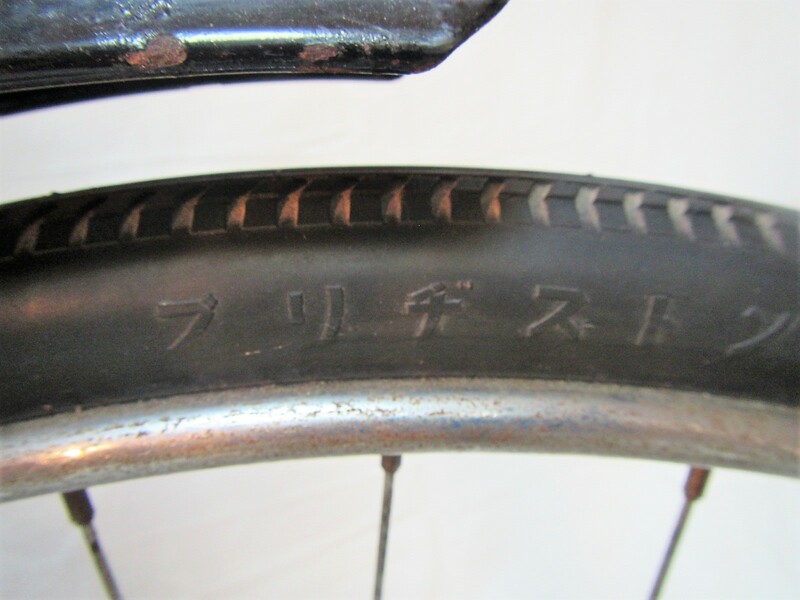 This is a great find, an all-original, barely ridden Bridgestone bicycle. 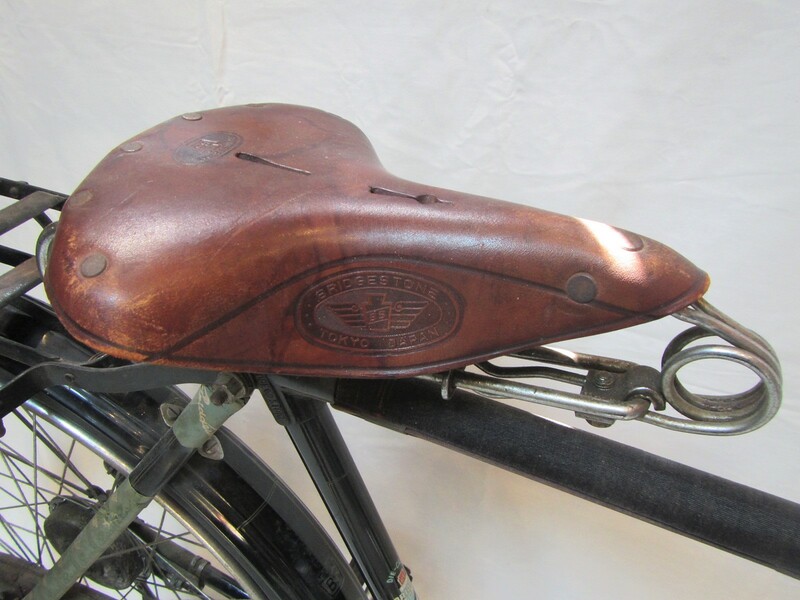 Here are some of the things I look for besides the obvious overall condition and original parts..
By examining the wear & tear of three places the rider's body makes contact with the bicycle, ie grips, saddle and pedals, one is able to measure how much the bicycle was actually ridden. 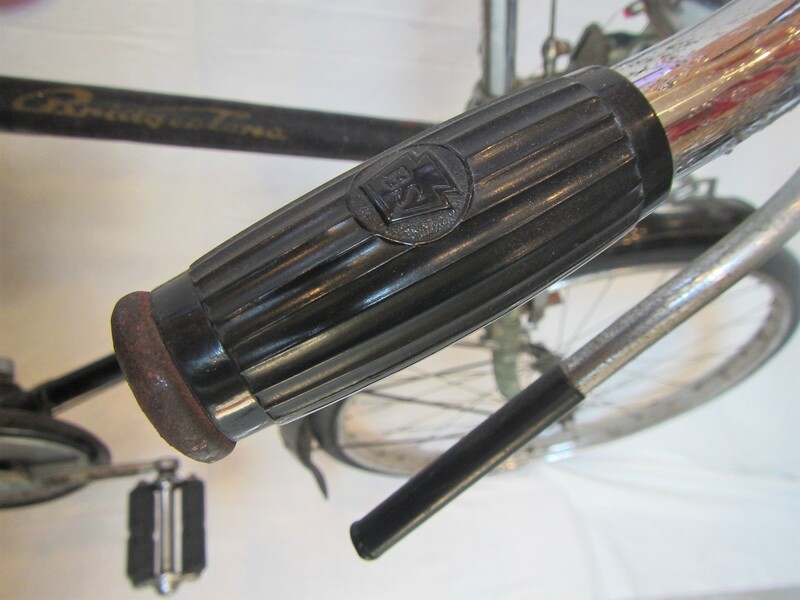 Although some heavy carrier cycles had rubber grips, and, during WWII, some bicycles had wooden grips, the vast majority of bicycles from 1950's or earlier had celluloid grips. 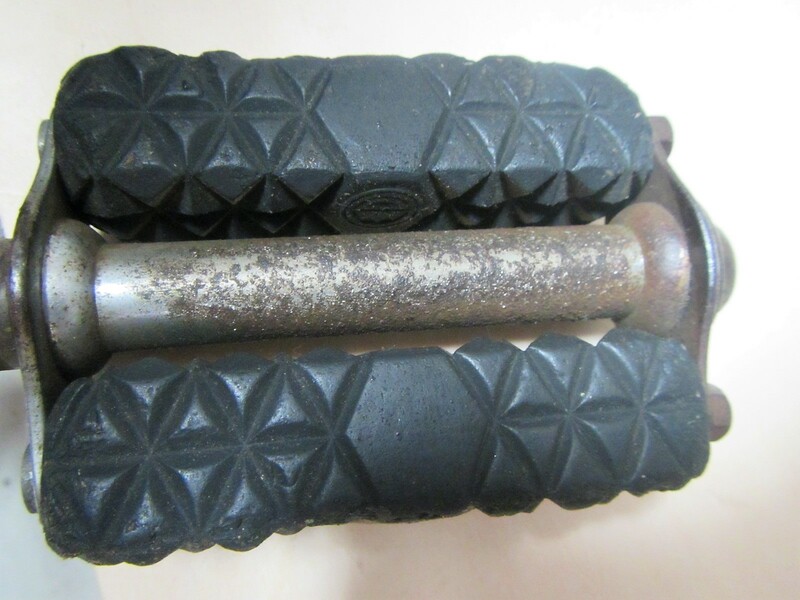 With use over time celluloid grips wear and design patterns and trademarks gradually become worn down as shown in the example below. 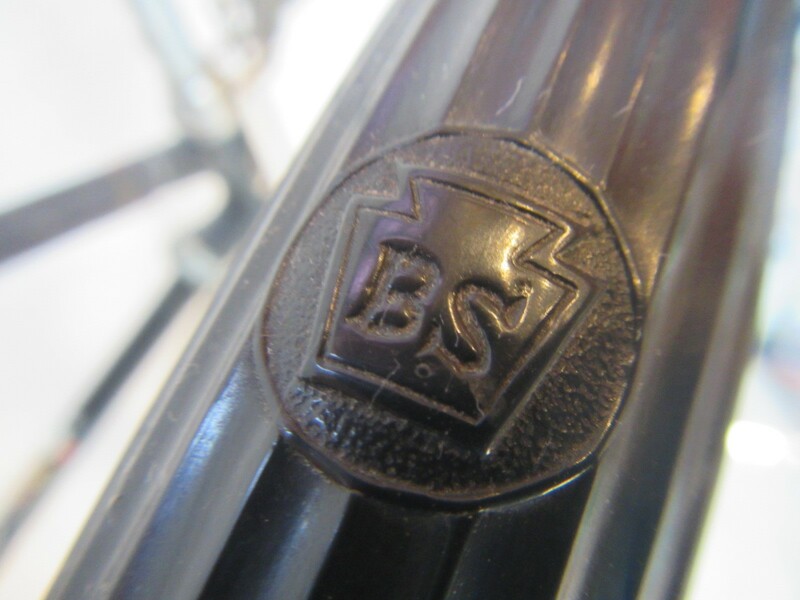 In the case of the Bridgestone bicycle, the design pattern and trademark are clear-cut a good indicator that, assuming the grips are original, the bicycle was rarely ridden. 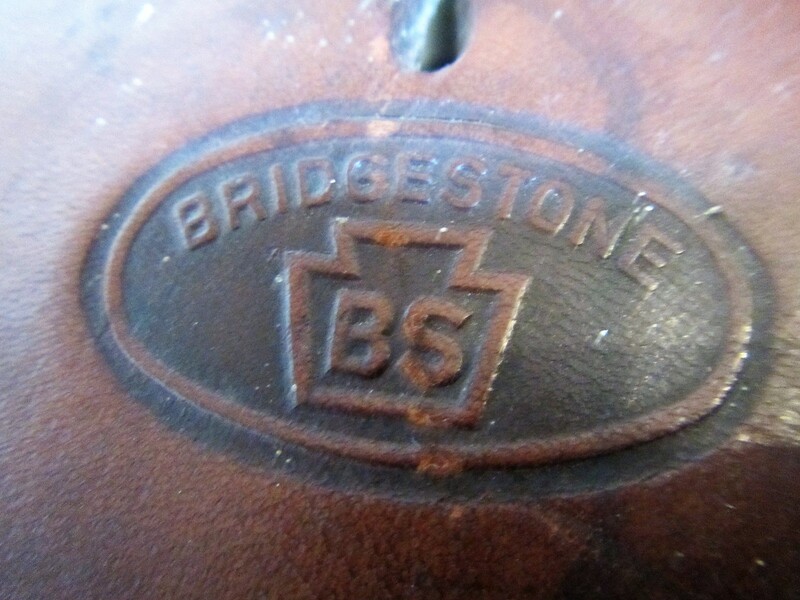 Note the old Bridgestone (BS) keystone trademark. 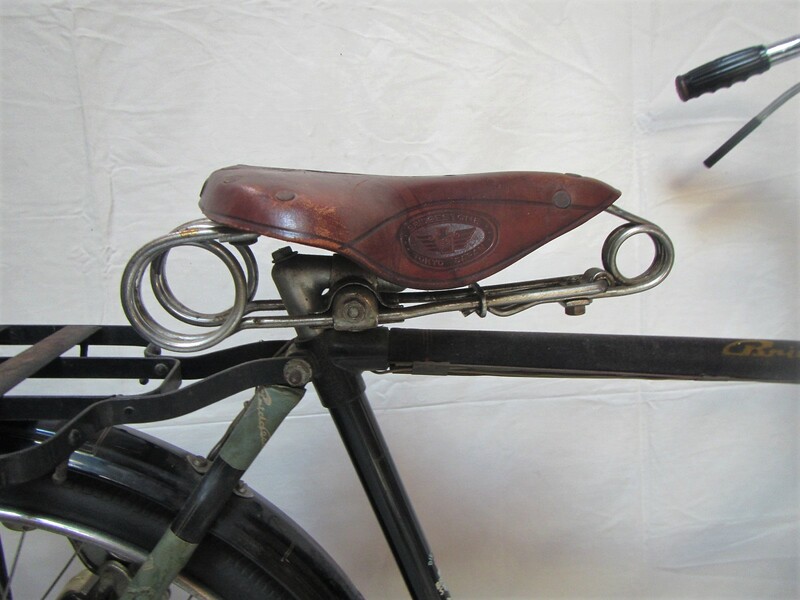 As is the case with celluloid grips, with use over time saddles wear and trademarks become worn down as shown in the example below. 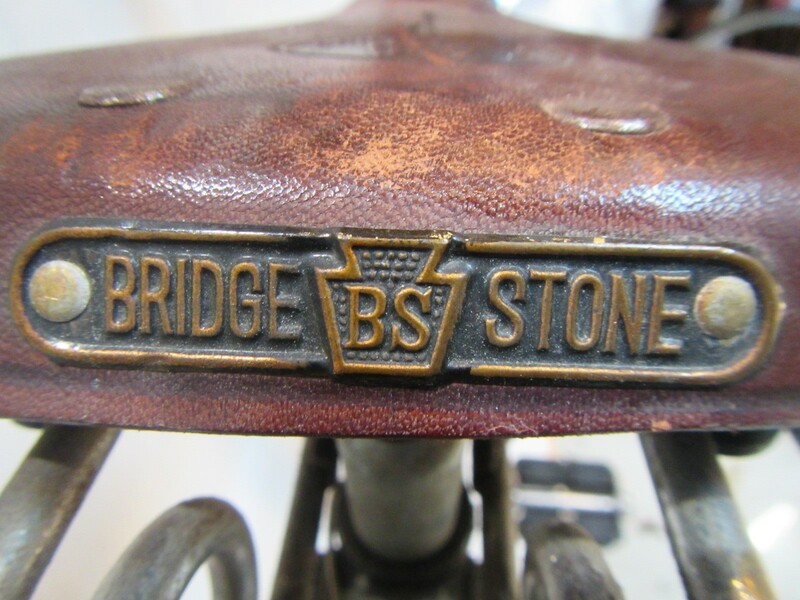 In the case of the Bridgestone bicycle, the trademarks are clear-cut a good indicator that, assuming the saddle is original, the bicycle was rarely ridden. 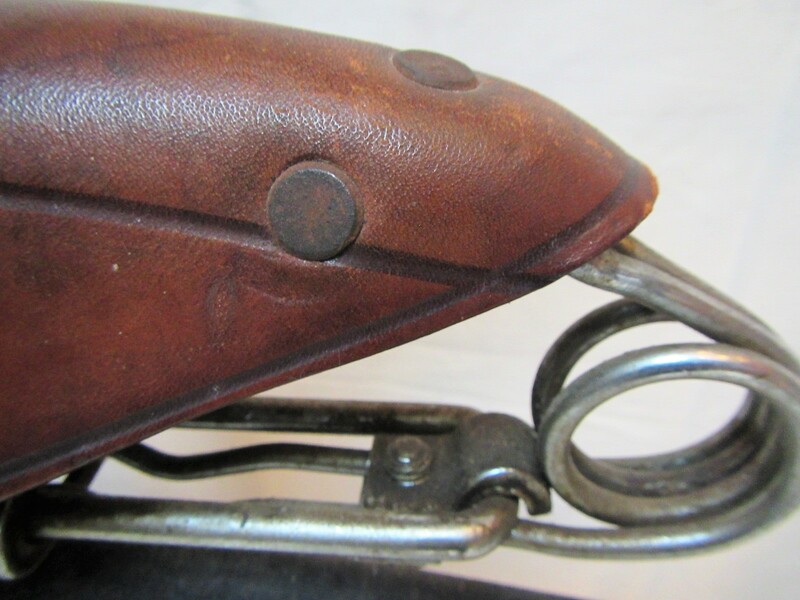 Another good indicator is the condition of the leather around the front rivets which tend to form cracks over time and use as shown in the example below. 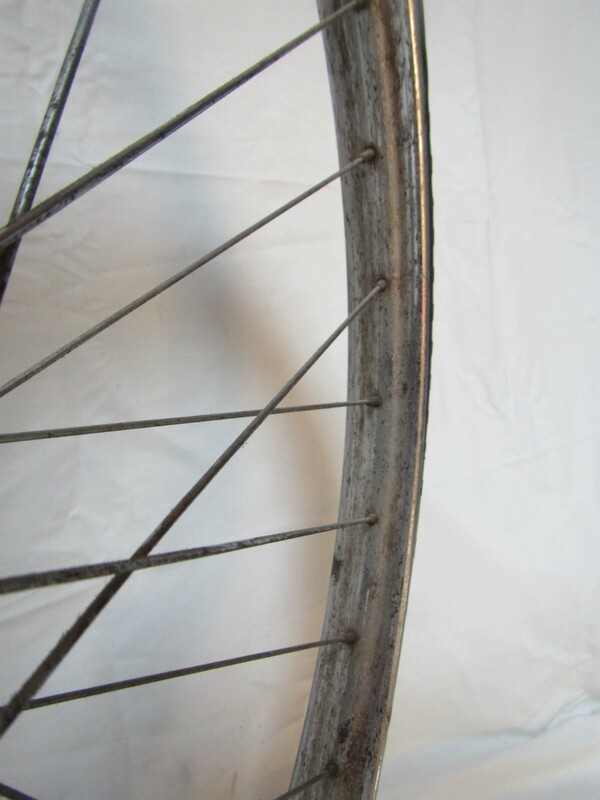 But the leather around the front rivets on the Bridgestone bicycle show zero signs of deterioration. 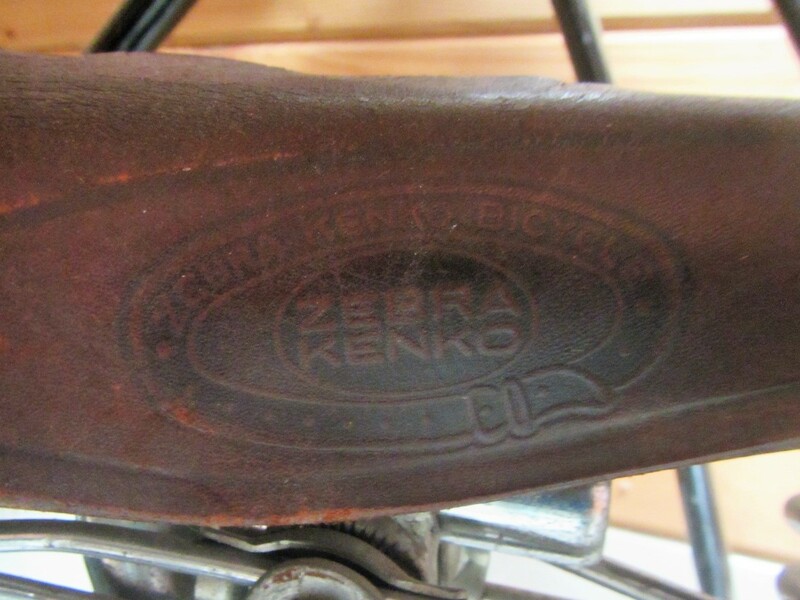 As is the case with celluloid grips and saddles, with use over time rubber block pedals wear and the trademarks become worn down as shown in the example below. 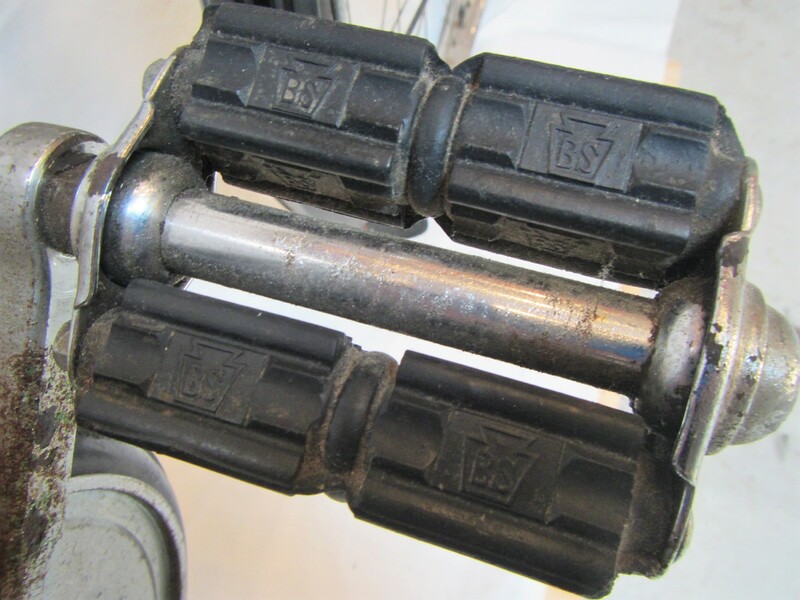 In the case of the Bridgestone bicycle, the trademarks are clear-cut a good indicator that, assuming the rubber blocks are original, the bicycle was rarely ridden. 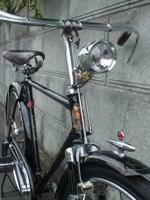 In addition to checking the three places that the rider's body makes contact with the bicycle, i.e. grips, saddle and pedals, checking the rims and tires can also serve as a good indicator of usage. 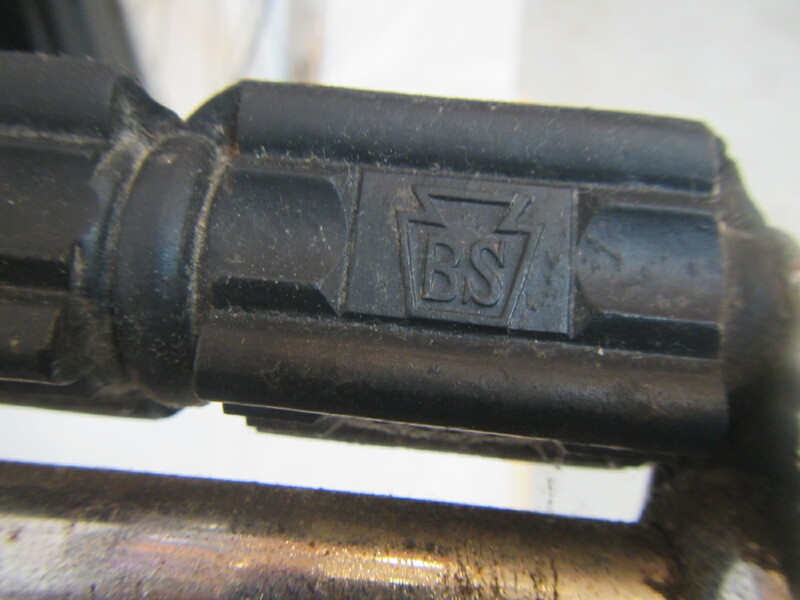 The Bridgestone bicycle rims have the BS keystone trademark. 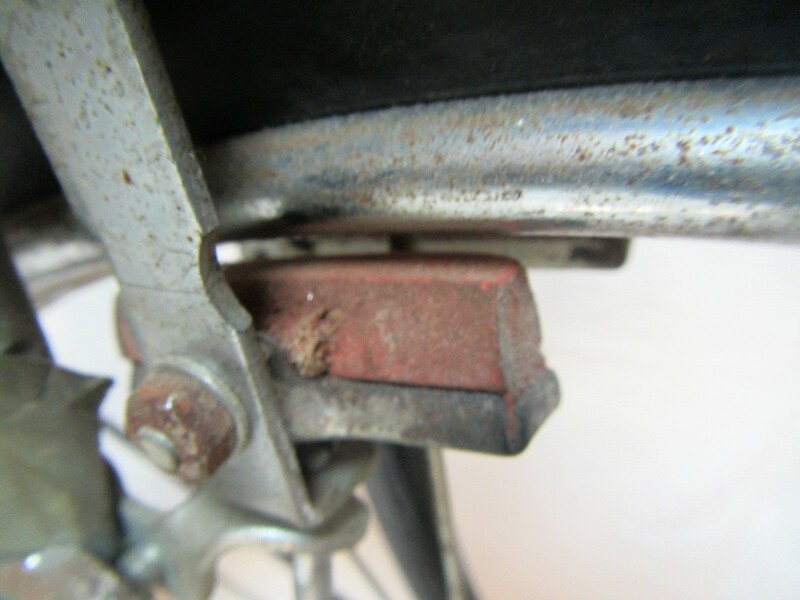 The chrome on the front rim will wear away over time as a result of contact from the brake shoes leaving a trail of rust as shown in example below. 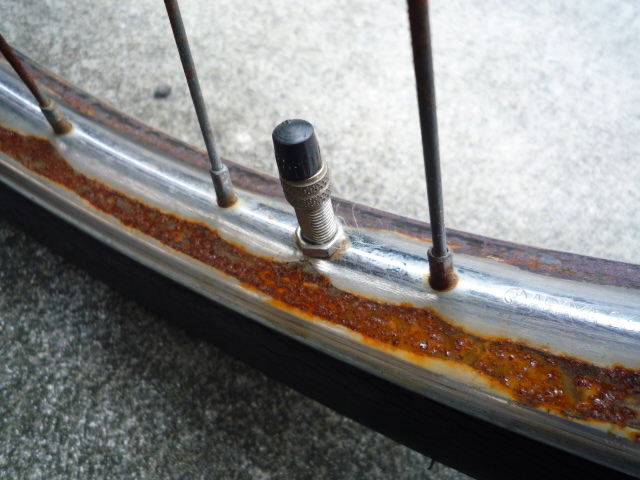 Although there is surface rust, there are no signs of wear from brake shoes indicating that, assuming the rims are original, the bicycle was rarely ridden. Check the manufacturer and tread wear. 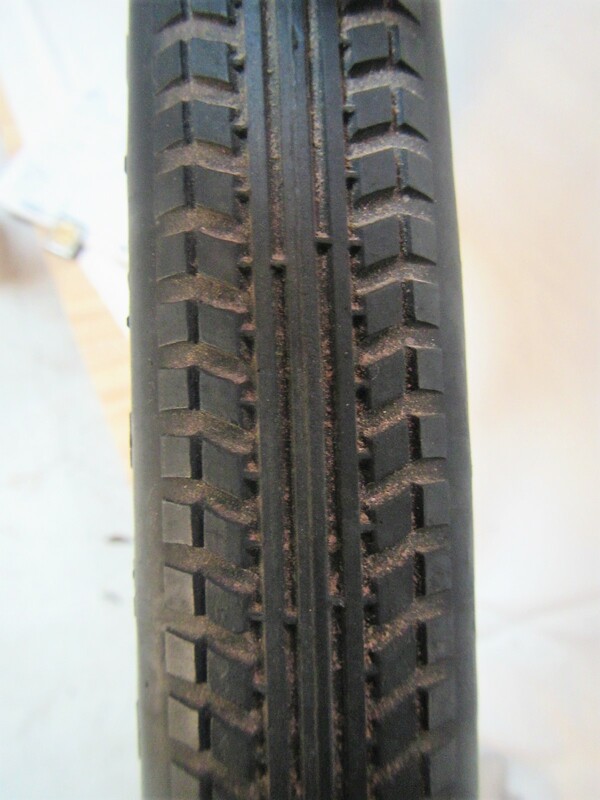 In this case original Bridgestone bicycle tires and the tread shows nearly zero wear indicating again, that this bicycle was rarely ridden. 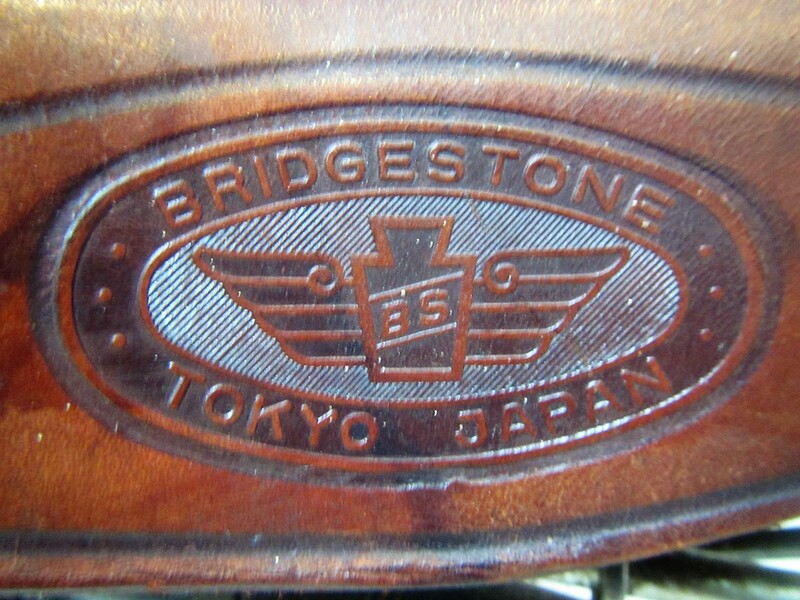 We will take a closer look at this Bridgestone bicycle in future posts.